Sustaining a personal injury can be a life-changing experience, with more serious injuries, such as damage to the head or spine, requiring the sufferer to go down a long road of rehabilitation and readjustment. If such an injury is the result of an accident caused, at least in part, by another party then the victim is entitled to compensation, which will hopefully ease them through the process of learning to cope with the lasting effects. Unfortunately, some people may be deterred from making a claim by the fear of incurring high legal costs. There may be concerns that if the claim is not settled quickly, the legal fees could mean all the effort to achieve a fair amount of compensation is hardly worth it. Thompsons Solicitors is Scotland's largest personal injury law firm and we offer a No Win No Fee package to help remove any doubt and to ensure that our clients' best interests are protected. Thompsons has offices across Scotland, including our Scottish Borders office located in Galashiels. We offer our clients a No Win No Fee package because we are confident that our team of expert personal injury solicitors will be able to achieve the best possible outcome for you and your loved ones. If you're located in the Scottish Borders and wish to make a claim, it is likely your case will be handled by one of the following experienced members of our team. Click on their profiles to find out more about their specialist areas and expertise within the field of personal injury. The solicitors at Thompsons approach each client's case with dedication and sensitivity. We understand that suffering a personal injury is often a difficult time for you and your loved ones, which is why we will do everything in our power to settle your claim efficiently and with as little disruption to you and your family as possible. Our track record says it all: we win more than nine out of ten cases we take on and recover more than £1 million every week for our clients. 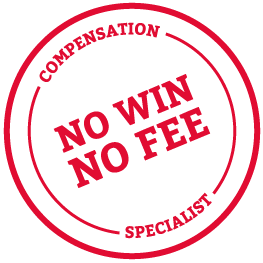 We believe that our No Win No Fee package is the best option for clients in the Scottish Borders who want the reassurance that their claim will not leave them in a worse financial situation than before. That's because when we say No Win No Fee, we mean it: you won't be charged a penny until a settlement has been reached, and there are no hidden costs. If you live or work in the Scottish Borders and have suffered a personal injury due to another's negligence, contact Thompsons Solicitors today on 0800 0891 331.